Anniversary Extravaganza: Thank You Draw! ■ Celebrate the KINGDOM HEARTS Union χ[Cross] Anniversary Extravaganza with a FREE Daily Draw! We're continuing to celebrate the 3-year Anniversary of the Japanese-version of KHUX, so please join us in our festivities with this free daily draw! ・You will receive one Medal each day when you draw from this Deal! ・You will also receive 1 Limited VIP Coin each time you draw from this free daily banner! ・Even better, you are guaranteed to receive at least one Sora & Moogle Medal within 10 days! ・At the end of the campaign period, you will be eligible to receive 1000 Jewels for each Sora & Moogle Medal you have in your Medal list! ・Be sure to draw from the banner once per day and collect as many Sora & Moogle Medals as you can! These coins allow you to purchase from the special Limited VIP Boards which include spectacular rewards such as Prime Illustrated Roxas (6★), Blue Fairy LV 8 and more! NOTE: The Limited VIP Boards will be available until the Anniversary Extravaganza with Limited VIP Boards ends on Sep. 30, 2018 11:59 p.m. / Oct. 1, 2018 6:59 (UTC). Accumulated Limited VIP Coins will be reset on Sep. 30, 2018 11:59 p.m. / Oct. 1, 2018 6:59 (UTC). September Coliseum Update & Special Missions! The September Coliseum update has arrived! 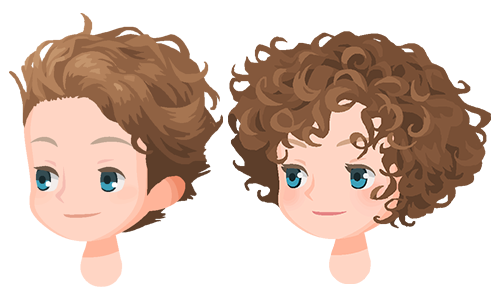 This month, those who battle their way through the Coliseum can earn themselves the Loose Slick Back and Elegant Curls avatar parts! Those who manage to battle their way to the top will also receive this new skill: Attack Boost VIII! This skill deals a staggering 2.6 times more damage to enemies, so you'll definitely want to get your hands on it! 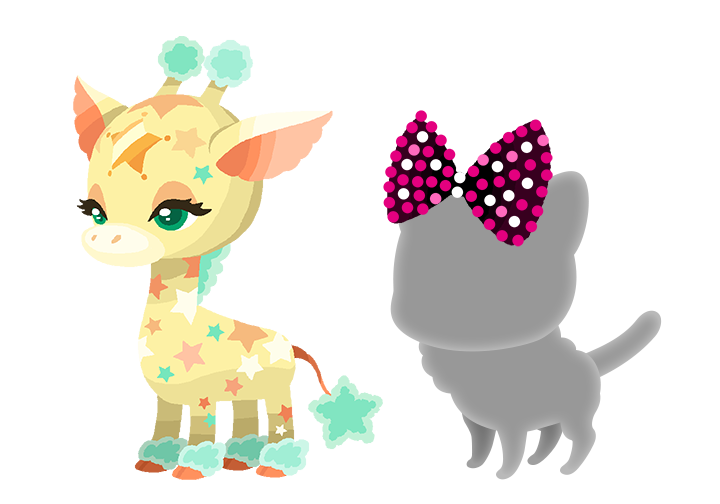 Collect Lux during the campaign period above to earn the new Yellow Giraffestar and Starlight Bow Spirit Parts! September's weekend-only raid event is here! During the weekend listed above, you'll have an opportunity to work with your party to exterminate the menacing Scourge Spider Raid Boss to earn Lux and other rewards! Raid Bosses are especially powerful Heartless, which will appear for a limited amount of time before disappearing. You'll need to coordinate with your party to take them down before they leave -- and if you can, you'll be greatly rewarded for your efforts! Band together with your party to receive all of the possible rewards, including one Magic Broom Medal from the Raid Board! Additionally, you can obtain bonus Medals by taking down the Raid Boss at certain levels! Every day for the duration of the event between the following times you'll be able to get the following bonus! The Monthly Gem Quests for September are here! ★ Get the Starlight Glasses Avatar Parts! This time there are a total of 6 Cross Boards, 4 of which will be unlocked from the start (Magic Broom Set #2 and Magic Mirror Set #2 will unlock sequentially as follows below). Complete them to earn the new Avatar Parts, Jewels, and more! Starlight Glasses (Male) Chat Phrase: A shooting star! Starlight Glasses (Female) Chat Phrase: Brilliant! New Challenge: Take No Damage! Defeat the bosses without taking damage! Choose your Medals carefully and emerge unscathed! ・There will be 3 boss stages per each of the three attributes, for a total of 9 bosses. ・The bosses for each attribute come in three levels of difficulty. ・Your goal is to defeat these bosses without taking damage! ・Be warned, as you can only use Special Attacks up to 5 times per challenge! ・Each boss has a counter, so bring your medals that either recover or do not reduce the counter. Rewards from this event include Magic Brooms, Huey & Dewey & Louie EXP Medals, and more, so give it your best shot! Training Stage: Test Your Strength! ■Introducing the new Training Stage! Test out your Medals and Deck Strength! We are excited to introduce a new, permanent quest- Training Stage: Test Your Strength! Here, both new and seasoned Keyblade Wielders alike will be able to test out their deck's damage in this all new training stage! These stages have tough enemies that will replenish their health each turn! If you can beat all the levels of this challenge, consider yourself a true Keyblade Master! No Continues: Chasm of Challenges! ■Introducing the Chasm of Challenges! Test your abilities in this tricky trial with no continues! We are excited to introduce a new, permanent quest- No Continues: Chasm of Challenges! ・In this challenge for advanced Keyblade Wielders, you will have to use specific Keyblades and the enemies will get stronger the further you advance. ・What's more, you won't be able to utilize Friend Medals, so watch out! ・You can obtain new medals in this trial, so give it your best shot! As this is a permanent quest, you can attempt it any time! More stages will be added at a later date, stay tuned!